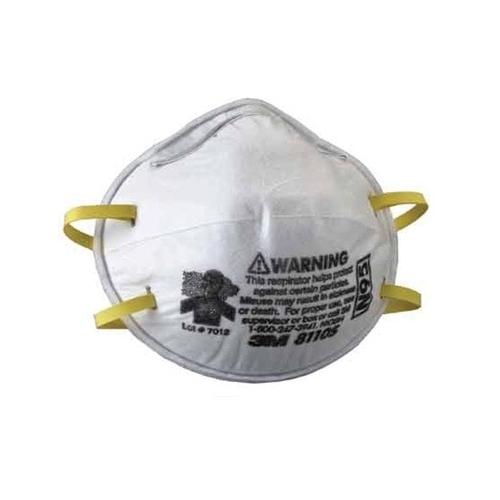 Designed for people with smaller faces with all of the features of the 3M 8210 particulate respirator, but in a smaller size. This mask is approximately 25% smaller than other 3M particulate masks. It helps provide worker protection against certain non-oil based particles. It is comfortable, easy to use, and promotes greater worker acceptance increasing wear time. Workplace applications include: grinding, sanding, sweeping, bagging, and other dusty operations.